enhancing and protecting water as a resource across the value chain, equitable access to reliable, sustainable and acceptable water resources and water and sanitation services, an enhanced contribution to socio-economic development and transformation by the sector, and an efficient, effective and development-oriented water and sanitation sector. Spending was estimated to increase from R15.1 billion in 2017/2018, to R16.5 billion in 2018/2019, and to R17.5 billion in 2019/2020. This would be mainly driven by the development of bulk water infrastructure, which included funds allocated for the construction of new dams and rehabilitating and repairing existing bulk infrastructure. The Minister responded to an invitation from the Committee to provide an overview of the drought situation in the Western Cape. She said steps were being taken to encourage the abstraction of water from various sources in the area, and other initiatives were being discussed on an intergovernmental basis. She stressed the need for people to be educated about the urgency of water saving. Members raised a wide range of issues relating to the financial status of the Department, the water boards and catchment management agencies. Of major concern was the situation at the Water Trading Entity, which had an overdraft of R2.9bn. The Department was asked to provide a detailed report on the reasons for delays in dam construction, which were adding millions of rands to the initial cost estimates. Members wanted to know why the bucket toilet eradication programme, which was supposed to have been completed by the end of last year, was still in progress. It was also asked why housing construction in areas dominated by black people did not commence with sanitation, electricity and the provision of water, compared to the houses built in other areas. 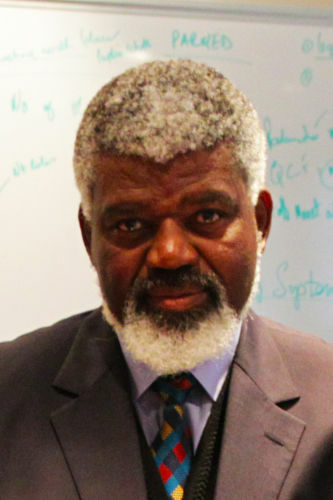 Mr H Chauke (ANC) was elected as the acting Chairperson, in the absence of Mr M Johnson (ANC). 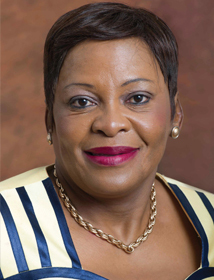 Ms Nomvula Mokonyane, Minister of Water and Sanitation, said that the Department had not undertaken new projects and activities for the period from 2017/18 to 2019/20. Instead, emphasis would be placed on implementation of the core mandate of the DWS, as driven by the manifesto of the ANC, the National Development Plan (NDP) and the Medium-Term Expenditure Framework (MTEF). This would be achieved through water resources being protected through water supply and sanitation services regulation, compliance monitoring and enforcement; enhanced management of water and sanitation information; the integrity of freshwater ecosystems being protected; enhanced water use efficiency and management of water quantity; and freshwater eco-systems being protected from mine water impacts. Equitable access to reliable, sustainable and acceptable water resources and water and sanitation services. This objective would be achieved through a coordinated approach to water and sanitation infrastructure planning and monitoring and evaluation; targeted and aligned planning for adequate water availability and the enhanced provision of water supply and sanitation services; adequate water availability and enhanced provision of sustainable and reliable water supply and sanitation services; safe, reliable and sustainable water supply and water and sanitation services infrastructure and an enhanced provision of sustainable and dignified basic sanitation. An enhanced contribution to socio-economic development and transformation by the sector. In this area, the DWS would focus on equitable water allocation and availability for socio-economic development; targeted rural development initiatives that support smallholder farmers; targeted procurement that supports black entrepreneurs in the sector; and job opportunities being created that expand economic opportunities for historically excluded and vulnerable groups. An efficient, effective and development-oriented water and sanitation sector. This would involve an enabling environment for the management of water resources and the provision of basic water and sanitation services across the sector; sound governance and oversight of the Department’s public entities; an efficient, effective and high performing organisation; coordinated development of the skills pool across the sector; targeted and sustained African and global cooperation in support of the national water and sanitation agenda; and informed and empowered communities and responsive government securing integrated and sustainable partnerships to support the water and sanitation development agenda. Water Trading Entity (WTE), Water Resource Management (WRM) and Infrastructure. In Programme 1 (Administration), key strategic objectives included targeted procurement that supported black entrepreneurs in the sector, an efficient, effective and high performing organisation, coordinated development of the skills pool across the sector, implementing a standardised water and sanitation sector occupations framework, a targeted and sustained African and global cooperation in support of the national water and sanitation agenda, informed and empowered communities and responsive government, securing integrated and sustainable partnerships to support the water and sanitation development agenda. In Programme 2 (Water Planning and Information Management), the strategic objectives involved enhanced management of water and sanitation information, protecting the integrity of freshwater ecosystems, enhanced water use efficiency and management of water quantity, a coordinated approach to water and sanitation infrastructure planning and monitoring and evaluation, targeted and aligned planning for adequate water availability and the enhanced provision of water supply and sanitation services, and an enabling environment for the Management of water resources and the provision of basic water and sanitation services across the sector. The budget for this programme would be R816m in 2017/18, R884m in 2018/19, and R950m in 2019/20. historically excluded and vulnerable groups, enhanced provision of sustainable and dignified basic sanitation, targeted rural development initiatives that support smallholder farmers, and job opportunities created that expand economic opportunities for historically excluded and vulnerable groups. The budget for this programme would be R12.3bn in 2017/18, R13.5bn in 2018/19, and R14.3bn in 2019/20. In Programme 4 (Water Sector Regulation), the strategic objectives include water resources being protected through water supply and sanitation services regulation, compliance monitoring and enforcement, freshwater eco-systems protected from mine water impacts, equitable water allocation and availability for socio-economic development, and sound governance and oversight of the DWS public entities. The budget for this programme would be R410m in 2017/18, R519m in 2018/19, and R491m in 2019/20. Mr Mashitisho, referring to the DBE’s expenditure over the MTEF period, said spending was estimated to increase from R15.1 billion in 2017/2018, to R16.5 billion in 2018/2019, and to R17.5 billion in 2019/2020. This would be mainly driven by the development of bulk water infrastructure, which included funds allocated for the construction of new dams and rehabilitating and repairing existing bulk infrastructure. This was in line with government’s renewed emphasis on infrastructure development and the water services infrastructure to improve household access to water and sanitation. The Water Trading Entity (WTE) focuses on the management of financial activities that relate to the management and maintenance of bulk infrastructure, to ensure a sustainable supply of water through construction and maintenance for raw bulk water supply, and the provision of financial management support to Proto-Catchment Management Agencies (CMAs). The total source of funding available to the Department was R9.7 billion, with the largest proportion of funding derived from the sale of water in the form of exchange revenue. The exchange revenue was split between the Trans Caledon Tunnel Authority (R4.439 million) for the capital charges on the dam which they built, the CMAs (R376 million) and the National Water Resource Infrastructure (R 3,153 million). Additionally, augmentation funding was received from the government and comprised direct funding for augmentation (R1,410 million) as well as the shortfall in the CMA main account (R173 million). The third source of revenue was derived from the construction work done for external parties, such as the water boards (R200 million). There was a surplus of R748 million which would be used to reduce the Department’s overdraft. Mr Mashitisho said the budget had been reprioritised for the 2017/18 financial year to address the pressures faced by the Department regarding water trading entities and the existing overdraft, as well as the accruals and invoices which were received in the previous financial year. The Department had reprioritised water services infrastructure grants, as well as the accelerated community infrastructure grants, to address the invoices received from the bucket eradication programme. The invoices had “been taken care of,’’ and were not including in the budget. All invoices which had been received as accruals in the previous financial year would be paid before new projects were initiated. The Chairperson asked for explanations regarding the accruals and invoices from the previous financial year, and asked that the DWS reconfirm the current financial status of the Department. He referred to issues of the Department being bankrupt, and asked that concerns were elaborated on. He requested that the responses speak to the nature and role of the construction entity within the Department, to whom it accounted, and to elaborate on the asset register of the entity. Mr Mashitisho said that the Department had accruals on a month-to-month basis for invoices on work done. Thereafter, engineers and quantity surveyors were dispatched to assess and certify the work completed and payment would be made. It was normal to have unpaid invoices for the work done in that period, as the invoices were paid for only once the work had been verified by the Department. At the end of February, the Department had received invoices to the value of R1.4 billion, and in the following month it had paid all unpaid invoices once the work completed had been certified. He explained that two bank accounts existed -- one for the main account and one for the Water Trading Entity. The main account budget was informed by the equitable share. He confirmed that the Department’s finances were in a healthy state. At the end of the previous financial year, the Department had adequate funding for its planned projects, commitments and accruals at the time. Challenges had been experienced regarding the Water Trading Entity, as R2.9 billion was overdrawn on the WTE account. In the year 2017/18, the Department was instituting controls to reverse this situation and ensure that “the bank account gets back to positive territory”. The DWS’s intention was for the WTE to focus on the core mandates and services of the Department in terms of funding the water bulk infrastructure. All non-core services had been moved from the WTE to the main account. The DWS had met with National Treasury on several occasions regarding its plans to reverse the situation at the Water Trading Entity. An agreement had been reached regarding the plan to reduce its overdraft. The Department was confident that the officials and controls put in place would ensure that it had a positive balance in its bank account. The earmarked projects included in the APP which fell under the main account had been reprioritised to ensure that accruals, commitments and grants were emphasised. In the previous financial year, National Treasury had granted approval to the DWS for the reallocation of funds for non-performing municipalities, and the DWS was of the view that the funds should be able to be reallocated to solve the problems currently faced by the Department. The DWS was confident that the decision which had been taken would sustain the Department for the entire financial year. A service provider had been appointed to “assess the due diligence in terms of accelerating the formation of the agency, and this was prescribed by the [Water Services] Act, that the Department of Water and Sanitation needed to form an entity that would take care of its operations in terms of the construction of the infrastructure that [it] has”. It was explained that the construction component related to projects such as the construction of the Bulshoek Dam. In the medium to long-term, the construction component was part of the departmental reengineering which was taking place at the DWS, and within the WTE. The Department believed that the construction component would not remain the same in light of the departmental reengineering. The WTE component was managed within the Department by the DG responsible for water resource infrastructure. The Chairperson requested full details of the construction component, specifically its role, function, its proposed means of transformation and its accountability. The Department should return to make a detailed presentation to the Committee which would elaborate on the unit and its capacity, as well the information surrounding the suspended Deputy Directors-General and the reasons for their suspensions, the procedure followed and the current timeframe for dealing with the suspensions, to ensure that capacity could be restored in the vacant positions. He asked how many people were employed by the construction component and what assets it possessed. Often the Department lacked capacity, and the skills may be within the construction component and were not being utilised elsewhere. He said that the construction component functioned under the Department and was not a company, and because the Department was undergoing transformation, the probability was that this would not remain the same. The component had the capacity to undertake projects such as the Bulshoek Dam. The Chairperson reiterated that a detailed presentation, including details of the 3 000 employees within the construction component, would need to be made to the Committee, with the entire leadership of the Department to account to Parliament. He emphasised that Black Economic Empowerment (BEE) should be included in the transformation process of the Department. The Chairperson asked the Minister to elaborate on the drought in the Western Cape, and what the Department was doing to intervene in the situation over and above enforcing water restrictions, specifically in comparison to the rest of the country. The Minister explained that the assessment conducted on 1 May 2017 indicated that the 42 dams in the Western Cape had decreased by 0.8% and were currently at 20.6%. Cape Town was served by six dams, which had experienced a decrease of 0.2% and were currently at 22%. The Department’s focus had been on the implementation of restrictions to achieve a reduction in consumption of 20% for domestic use and 30% for agriculture. The Department had had several meetings with the MEC of the Western Cape and his delegation, including the Executive Mayors in the Western Cape, and it was agreed that an intergovernmental intervention would be undertaken. The Minister said that the National Water Disaster management had been to the Western Cape, and that there was a report noting regular engagements with major role players on the matter. The Western Cape would not be able to use 10% of the remaining 20%. However, to support the Western Cape communities and government, the Department had developed interventions which would “encourage abstraction from the various sources of water in the Western Cape”. The Department was currently working on opening the channels leading to the outlet works from both the Voelsvlei and Theewaterskloof Dams. At this stage the Department had been able to increase capacity although the two channels had not been completely cleaned. Regarding Voelsvlei, the dam would assist with dealing with the Swartland Treatment Works. The DWS would continue to work together with the affected municipalities which receive water from Voelsvlei Dam in ensuring that the proper maintenance existed for reticulation, as some of the pipes were bursting. Regarding Theewaterskloof , the survey conducted by the Department indicated that excavation was necessary, and work was under way to deal with the issue. New pumps were being installed for the Draaiberg bridge to ensure that a large amount of water was not lost from the Theewaterskloof dam. Construction units had been mobilised to make the interventions. The Minister indicated that proposals had been made to Trans Caledon Tunnel Authority (TCTA) and the Overberg Water Board to discuss the rehabilitation of the dams. The intervention in the Western Cape consisted of the water restrictions, as well as the clearance of the channels to source additional water, which was currently being resolved with the Western Cape municipalities to ensure that the clearance had been allowed, that it had been budgeted for and that there was sufficient capacity for it. The Minister noted that a Water Indaba would be held on 16 May 2017, in collaboration with the Minister of Cooperative Governance and the Member of the Executive Committee (MEC) for the Department of Cooperative Governance and Traditional Affairs (COGTA) in the Western Cape, which would present a sustainable water intervention plan of not less than two years. The Minister said the perception was that the Western Cape would experience an increase in water levels owing to winter rains. However, this may not be the case and the winter rains may result in high levels of flooding instead. The focus of the Department was rainwater harvesting and the removal of people from the flood lines, especially those in the informal settlements. Preparation for rainwater harvesting was important, and therefore collaboration with COGTA was needed to assess the infrastructure in high flood-risk areas, and to institute improved water storage facilities. The Water Research Commission and the National Water Disaster Management Agency would be presenting a plan at the Water Indaba, which aimed to assist in the preparation for the winter rains during the drought. The Minister emphasised that people should continue to save water, that the municipalities should repair the leaking pipes, and that the Western Cape agriculture sector should change its irrigation systems. The Chairperson asked that the Director-General also respond to the questions regarding the Clanwilliam Dam, and to provide clarity on the 53 employees who were receiving salaries from the Department each month without working. Mr T Makondo (ANC) asked a follow-up question related to the accountability of the construction unit, specifically to whom the unit accounted within the DWS. What was the relationship between the Water Infrastructure Development Agency, the construction unit and the TCTA? He also asked what effects the construction unit would have on the Water Infrastructure Development Agency and the TCTA. Mr L Basson (DA) referred to the R2.989bn owed by the Water Trading Entity to the Reserve Bank, and asked what the details of the plan to reduce the overdraft were, as it would affect the quality of infrastructure and the Department’s current projects. He emphasised that if the current budget was used to reduce the overdraft, the budget for infrastructure and projects would be compromised. He referred to the mention by the Minister in March, as well as by the chief financial officer (CFO), of the R 1.467 billion owed to contractors. He said that the invoices should have already been paid and should not be scheduled for payment only in the new financial year. Mr Basson asked the Department to indicate whether the R1.9bn indicated in February, of which R1.1bn was still with National Treasury, had been utilised. Had all the money been used in the financial year, or was the Department requesting a rollover. If it was not in fact paid last year, it would be deducted from this year’s budget and therefore shrink the budget for 2017/18. He said that on 28 February 2017, the Department owed the water boards R482 million. A written question had been submitted to the Department, and in a written response it was indicated that the Department owed Rand Water R10 million. In a different question in the same period, the Department was asked how much was outstanding on water, and the Department had responded that it was owed Rand Water R77 million. He emphasised that there was a dispute of facts regarding the outstanding amount which the Department was reported to owe Rand Water, and the legitimacy of the outstanding debt was called into question. Ms T Baker (DA) referred to the bucket eradication programme and asked the Department to explain the figures, and distinguish between the programmes in the APP. She believed that there would be overspending on the bucket eradication programme, and asked the Department to comment. She emphasised her concern regarding the reliability of the Department’s APP, according to which the project in Mpumalanga was the Ermelo Water Treatment pipelines and reservoirs located in Gert Sibande district. However the project description said “the supply of water to the Bushbuck Ridge area,” which was in fact a glaringly obvious error, owing to the distance between the areas. There appeared to be a “copy and paste” of information which undermined the credibility of facts contained in the document, and this was a big problem. Ms Baker said that it had been indicated in a written response that Bushbuck Ridge alone owed Rand Water R236 million for projects, and asked the Department how the money would be recovered. She suggested that alternative funding be considered for the projects, as the current debt which was being incurred was hindering the effectiveness of the water boards, as they were unable to recover the monies owed. Ms N Bilankulu (ANC) referred to the bulk water supply from Nandoni to Giyani, and asked what the progress on the water supply was, considering the rumours that the project had been stopped. The Minister said that the focus for Clanwilliam in the current financial year had been the cost of raising the dam wall. The road had been constructed, the site had been cleared and the land had been expropriated. The Department had been criticised for the escalation in costs. Mr Basson said that the previous DG had informed the Committee that the unit assigned to the construction of the Clanwilliam Dam had been taken off the project, and that the Department would go to tender. He said it was not true that the unit was there for site establishment, because if this were so, why had the Department not removed the 53 people when they ended their project for the construction of the site in September last year? He had been at the construction site in March this year, and no one had been there and the site was locked up, but the 53 people were still staying there. They were paid every month for doing nothing. Mr Basson said that the Department had gone out on tender, and the tender process had closed in November 2016. It had still not been allocated. The dam was eventually going to cost the country more than R3 billion. The cost was escalating at the rate of R150 million a year. The construction unit was willing and ready to pursue the project, and had been abruptly withdrawn, and the Minister was not being honest with the Portfolio Committee as to the reason. He was in possession of all the documentation sent to the Department. The Chairperson reiterated the Members’ enquiry about the 53 employees, and the reason they were being paid. He appealed to the Minister to allow the administrators to account to the Committee, as they were the individuals who dealt with these matters on a day to day basis. Mr Mashitisho said that the tender for the construction of the dam had gone out, but no appointments had been made. The Chairperson asked what the repercussions for the Clanwilliam Dam were if the tender process was opened and no tenders were awarded. He asked if there were financial implications. Mr Mashitisho said that there were fixed costs, and that a cost-benefit analysis was being done to determine whether the Department should undertake the construction itself. The construction staff for the Clanwilliam Dam could be used for other construction projects. The Chairperson requested a full report on the issue, because the Committee was struggling to get all of the facts from the Department. There were no clear timelines, and the Department was “looking at the bigger picture”. He asked the Department to return to present the details to the Committee and clarify and resolve the issues mentioned. He reiterated that the DG was not responding directly to the facts as they had been presented to the Department by the Portfolio Committee. Ms Baker referred to the blank spaces in the APP document which related to projects which had already commenced, and asked what the reason for this was. The Chairperson said that the Committee would expect a detailed presentation, project by project, and with the necessary timelines included. The Minister said that she supported the proposal for the Department to return and provide a full presentation to the Portfolio Committee. There should be an explanation for each project regarding delays and overspending. The Minister said that the 3 000 people were employed by the Department in different regions, and whether they were assigned to work on a construction site or not, they were still employees of the Department. She said that the 3 000 people were not employed specifically for the construction of the Clanwilliam Dam, but they were employees of the Department of Water and Sanitation. In response to Mr Basson, the Minister said, “let’s not be too sensational”. He was right that the unit had been taken off the construction site for the Clanwilliam Dam, but the centralised procurement processes were managed by the Chief Procurement Officer in National Treasury, and not by the Department of Water and Sanitation. She said that it would take three months to do the evaluations for the projects as per the new requirements which the Department was being subjected to, because of the nature of the projects. The Minister supported Ms Baker’s proposal for the Department to provide a full presentation on the projects, and to explain the challenges which faced projects like Hazelmere, such as project management “whereby people work on assumptions and not a bankable business plan, and then the costs escalate” during implementation. The Minister said that within a period of five days, the Department must provide the Portfolio Committee with a full presentation on each project, indicating the initial cost, explanations for establishment and deviations and references to the implementing agent. Mr Mashitisho said that the impending infrastructure agency was a “work in progress”. The Department was still at the due diligence stage of the infrastructure agency that it needed to create. It was business as usual in the TCTA and the construction component. Mr Mashitisho said that the Department would share the plan to address the overdraft with the Committee. The plan had been presented to National Treasury, and they were happy. The overdraft was not R2.9bn, but was now R2.1bn. Measures were being implemented to collect the monies owed. The O R Tambo District had initially paid nothing towards the debt owed to the Department, but had now undertaken to pay a R20 million lump sum and R2 million each month. The same approach would be taken with other districts and municipalities that owed money to the Department. He said that the errors in the APP document would be reviewed, and suggested that there may have been typing errors. The Department would no longer continue the work of the municipalities to ensure water security in instances such as the waste water treatment works polluting the water. He suggested alternative funding for infrastructure reticulation. There were still 25 000 bucket toilets that needed to be eradicated. The Department was of the belief” that the toilets did not need to flush, and that as long as it was within the sanitation standards, dry sanitation could be used going forward, as flush toilets had tended to become very expensive. He emphasised the need for COGTA’s involvement. The Chairperson asked what the implication for the targets were if the target for 2017 was complete bucket eradication, and the Department claimed that it did not have money. He asked if the bucket system would persist. Mr Mashitisho said that 14 000 of the 25 000 bucket toilets were a “work in progress”, and that there were about 6 000 that were left untouched. Although the 2017 deadline had passed, meeting the target was still achievable. The Chairperson indicated that during the Committee’s engagement with the Water Research Commission, it had been clear that there was much technology which the Department was not tapping into. He said that the Minister would agree that during the convention in Durban, there had been better solutions proposed for bucket eradication. To commission the current arrangement of a toilet, which cost R150 000, did not make sense at all when there were more advanced and cheaper solutions at a cost of R6 000 to R8 000. Mr Basson said that earlier this year, the Department had approached the Portfolio Committee asking for its support to be granted an additional R500 million from National Treasury to fund the balance required. He asked the Department whether the funding had been granted, and added that his question to the Department concerning how much of the 2016 budget had been utilised and how much of it had not, had not been responded to. Mr Basson indicated that the information regarding the amalgamation of the Water Trading Entity and TCTA provided by the DG in the previous week, differed from the information which was being presented to the Portfolio Committee. Last week, the Department had indicated that no discussions were taking place, but this week the Department claimed otherwise. Last week, the DG had indicated that National Treasury had taken away R9 billion of the Department’s budget. He had corrected the DG, as the amount was in fact R827 million, but this error was not rectified or commented on. He was confused and “seriously worried” about the discrepancies in the information presented to the Committee, both in the verbal and written reponses. Mr Sifiso Mkhize, Chief Financial Officer: DWS, said that R1.4 billion was owed at the end of February. At the time, the Department had indicated that its bank account contained a balance of R558 million, and R1.1 billion was still anticipated from National Treasury. In March, after the verification process was concluded, all service providers, including the contractors, had been paid. On a month-to-month basis, the Department would have accruals pending verification by the quality surveyors and engineers. The accruals were a moving target as they were paid upon verification by the engineers for the work completed, before payment was made on invoices. By March, the Department had sufficient money to pay the debt outstanding at the end of February. Ms Baker said it was a known fact that a shortage of skills existed, especially in maths and science, and this was hindering the performance of the Department, and its target of less than, or equal to 10%, of engineers and scientists to be recruited was far too low. She requested that the method for quantifying the intake for recruitment be included in the document provided to the Portfolio Committee. She asked the Minister to update the Committee on the advertisement out for the new Water Board. The Committee had also been promised a document containing the timeline, which was apparently readily available, although the Committee had never received the document. Ms Baker asked if the Minister had withdrawn the appeal in the Sibusiso Makhanya case. If the appeal had been withdrawn, the Minister should provide the Committee with the details of the factors which had influenced this decision. She asked for an indication of the process relating to the merging of the two Water Boards, and if the Minister was considering a specific person to lead the interim Committee. Ms M Khawula (EFF) said that she was touched by what the Minister said regarding the need for synergy between COGTA and SANCA as far as folding the municipalities accountable. Ms Khawula said that she did not know how the challenges facing water could be overcome, because it was quite clear that government was failing to hold the municipalities and councillors accountable to ensure that the recurring water and sanitation problems were resolved. This was why, in the past, she had suggested that the municipalities be stripped of their powers, as it appeared that they were failing to execute their duties. Taps were running dry in Ward 54 and Ward 7, and the people knew the Portfolio Committee Members as the representatives of the people. She asked the Minister what could be done in terms of changing the law or amending the law to ensure that the powers vested in municipalities were adequately and satisfactorily executed. Ms Khawula said that in 2015 the Department had committed to the eradication of the bucket system by December 2015. However, in some places people were still using the bucket system which was “uncalled for”. She said that the houses which were being built in these areas were not in a good condition. Municipalities no longer answered water complaint calls. She asked the Minister how the Department intended to address this issue. The Minister said that the Department was embarking on a long-term intervention on the Giyani Project. The Department had almost completed all the emergency work, and would be starting the procurement process for phase two, which was also a directive to the Department from National Treasury to go to tender. It was a part of the fiscal policy regarding long-term procurement. She said that despite the emergency work undertaken, the ability of the Mobani Municipality had been found wanting. Therefore, the Department was still carrying the responsibility of overseeing and maintaining that infrastructure. The establishment of a single water and sanitation infrastructure agent in South Africa was informed by the policy determination and vision 2030. The Department had appointed an independent facilitator who was dealing with the issue, and was conducting the process for due-diligence. The Minister said that a decision had not been taken regarding the merging of the WTE and the TCTA, and “no such thing exists”. The Department was currently trying to avoid a situation whereby there were two independent Chief Financial Officers of the WTE, and of the Department. The Minister said that the DWS was owed approximately R2.7 billion by the Water Boards. The Department had agreed there would be a revenue enhancement process. The application of consequence management to the suspended CFO of the WTE, was an issue related to this matter of revenue enhancements as well as financial controls. She said that there was a large amount of money owed to the water boards by the municipalities and the Department’s plan to address the issue was to engage National Treasury and COGTA and establish a service level agreement (SLA) on the payment arrangements. The Department had applied this model to O R Tambo municipality in terms of intergovernmental relations in order to sort out its finances. The CFO had sat with National Treasury, and the municipalities which required assistance had been identified. The Minister said that once money was paid to a municipality, the municipality no longer felt it necessary to pay the water boards. She suggested a tripartite agreement between National Treasury, the municipalities and the Department on these interventions. 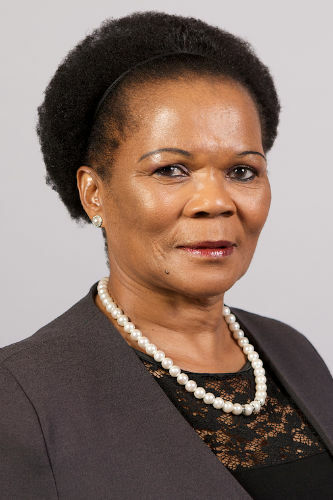 She recommended formal interactions between the Portfolio Committee, National Treasury and the Department to assess the available resources, and match the total amount for grants that go municipalities for water against the services which had been provided. The Minister emphasised that the Vaal River system was precious and therefore needed to be taken care of. The river had become a victim of ineffective maintenance by the Mfuleni Municipality, and this was affecting the quality of water from the river. Water quality was becoming a problem in South Africa, and the Department was therefore required to enforce the necessary regulations, as well as intervene. In response to Ms Khawula, the Minister said that the Department would need time to interact with the municipalities on these issues, because waste water treatment and reticulation was the core business of local government. Hence, the municipalities were referred to as water services authorities. The Minister proposed that the review of the Municipal Systems Act should be accelerated, to address the issue of non-compliance by municipalities and separate authorities. The Constitution stated that the Minister was the custodian of water. The Minister could be taken to court on issues relating to water, when in fact the authority rested with mayors and other officials. She said that the municipalities were required to put aside 10% for maintenance, and had technical services in their departments. The fulfilment of these requirements by municipalities needed to be assessed. Municipalities did not have the means to recover the cost beyond the six kiloliters which were a constitutional obligation. The installation of 25 000 units for the bucket eradication programme required an increase in the capacity of the waste water treatment plant. The provision of toilets was not confined to installing the units, but extended to the bulk infrastructure and the conditions relating to the units. Bucket eradication happened in the “old townships,” and the Department was therefore forced to follow an existing system which was highly dependent on water. In newer areas, alternative sanitation solutions were more likely to be a success. The Minister said that the two boards which had been disestablished had received communications from the Department, as per the required legal process. A note had been sent to all affected stakeholders, and within a week or so the Department would be able to make an announcement. The disestablishment of the Mhlathuze Water Board had been agreed upon and the Department would continue with the disciplinary processes. The Minister proposed that the review of the Systems Act was accelerated, to address the issue of non-compliance of municipalities and separate authorities. She reiterated that the Constitution states that the Minister was the custodian of water. She said that the Minister would be taken to court on issues relating to water, when in fact the authority rests with mayors and other officials. The Minister explained that the municipalities were required to put aside 10% for maintenance, and had technical services in their departments. She said that the fulfilment of these requirements by municipalities, needs to be assessed. She indicated that municipalities do not had the means to recover the cost beyond the six kilolitres which were a constitutional obligation. The Minister suggested that communities should be educated on saving water, and that municipalities should build capacity for infrastructure and human resources. Municipalities should utilise their bylaws to prevent the private sale of water to drought-affected communities, and protect people’s health and hygiene. The private sale of water had to be authorised by the municipality, as the water sold was drawn from the municipal water source without paying for its extraction. The Minister proposed that the Department provide the Committee with a detailed project plan regarding interaction with the NWRI including project activity, costs, timelines and the reasons for escalations and the decision to move away from the use of the implementing agent. The DG and his team would “clean up” the documents that they had submitted and where there was a variation in information, there would be a footnote to explain it. Ms Pamela Tshwete, Deputy Minister, DWS, reiterated that the Department was often blamed for the shortfalls of municipalities. She proposed that the Portfolio Committee invite COGTA and the DWS to a joint sitting to allow the municipalities to account for themselves. In December, the Department had responded to requests for water made by O R Tambo municipality. The Department had had to respond to the request, but the provision of water cost money for which the Department had to account. The Chairperson asked the DG to respond to the question relating to the suspended officials. Mr Mashitisho said that three officials had been suspended -- namely Ms Zandile Mathe, DDG: Water Resource Infrastructure, Mr Mpho Mofokeng, CFO: Water Trading Entity, and Mr Andre van der Walt, Chief Director: Sanitation and Bucket Eradication Project. The officials would receive full pay while the investigation was under way. The Chairperson asked who had filled the positions of the suspended officials. Ms Baker asked what the reasons for the suspensions of the three officials were. Mr Mashitisho said that it was about consequence management, and that the details would be available only upon conclusion of the investigation and the charges, where necessary. The Department did not want to pre-empt the process. Mr Basson said that he agreed with the Minister regarding the authority of municipalities. The Minister was the custodian of water, and therefore the Minister’s Department and the Portfolio Committee were custodians of water as a consequence. He was concerned with the proposal that the Department should no longer intervene where there were spillages and problems in municipalities. He said that if this was going to be the case, and COGTA was relied upon to support municipalities, one would see the collapse of water infrastructure in this country. The Chairperson said that costs relating to municipalities which fell outside of the accepted budget would be fruitless and wasteful expenditure by the Department. He recommended that COGTA, the Department and National Treasury should be invited to account to the Portfolio Committee and agree on an arrangement, guided by the Public Finance Management Act (PFMA). Ms Khawula asked the Minister why housing construction in areas dominated with black people did not commence with sanitation, electricity and the provision of water, compared to the houses built in other areas. During a Committee oversight visit, many issues regarding boreholes were identified and in these instances money was spent, but services were not rendered. She said she would like the Minister to know that as representatives of the people, the Portfolio Committee was in partnership with the Department and therefore the Department’s failures were failures shared with the Committee. The Department should appreciate the input from Members of the Portfolio Committee, as they were raising issues on behalf of the people. She added that in future it would be appropriate to have all the municipal managers sit with the Committee to account, as when such officials were unavailable or on leave, water services seem not to be provided. Ms Baker asked if there was any chance that the Minister would lift the restrictions placed on the abstraction for farmers in the Fish and Orange Rivers any time soon, now that the systems had stabilised. She said that the Committee required feedback from the Department on the recourse for the pollution by the municipalities, as well as the progress on the implementation of legislation against offending polluters. The Minister said that the conditions of the restrictions were under review, and that the Department would provide the information to the Committee soon. Adv Anil Singh, Deputy Director-General: Regulations and Compliance, DWS, referred to the issue regarding the payment of monthly stipends. He said that last year a practice note was issued to discontinue the provision of the monthly stipends for “sitting at home”. However, the practice note had not been adhered to by CMAs, and the Department would submit a response to indicate that the two CMAs would pay back the money which was a portion of remuneration of the monthly stipend. The CMAs were not entitled to a monthly stipend or a retainer, and this was in fact the wrong procedure. The practice note had been reissued to the board members. Mr Singh said that the two CMAs in question had been present in the Portfolio Committee meeting when the procedure had been deemed wrong. The board members, as well as the CEO and CFO of the entities, would be required to pay the money back to the Department. The Chairperson requested that the Committee receive a formal response from the Department regarding the action taken against the CMAs, as well as the progress relating to the recovery of the money. The Chairperson also emphasised the need for the Department to communicate emergencies which would require additional spending with the Committee, as they were in partnership on the budget.